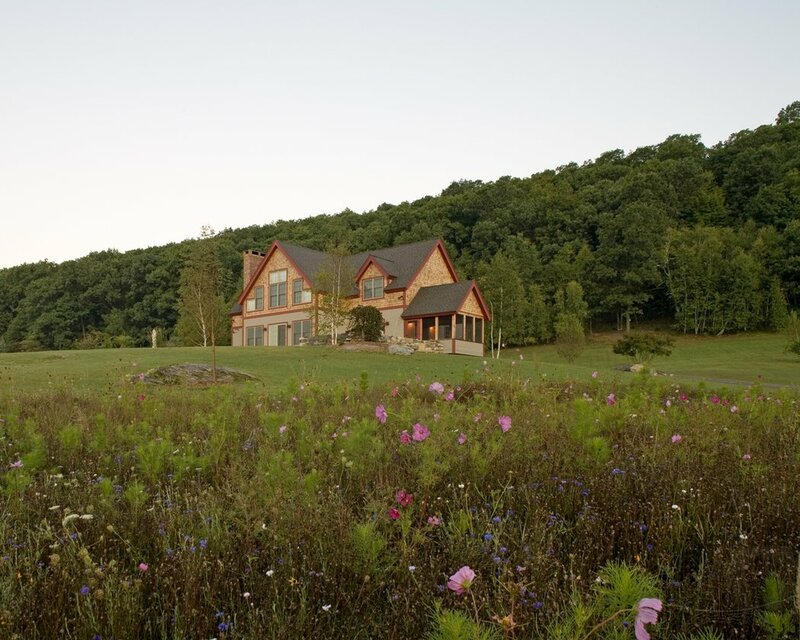 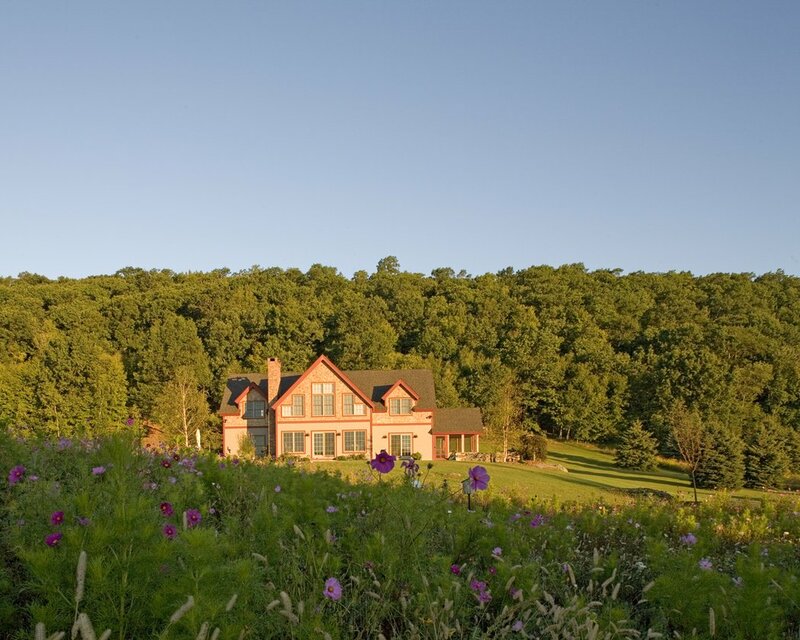 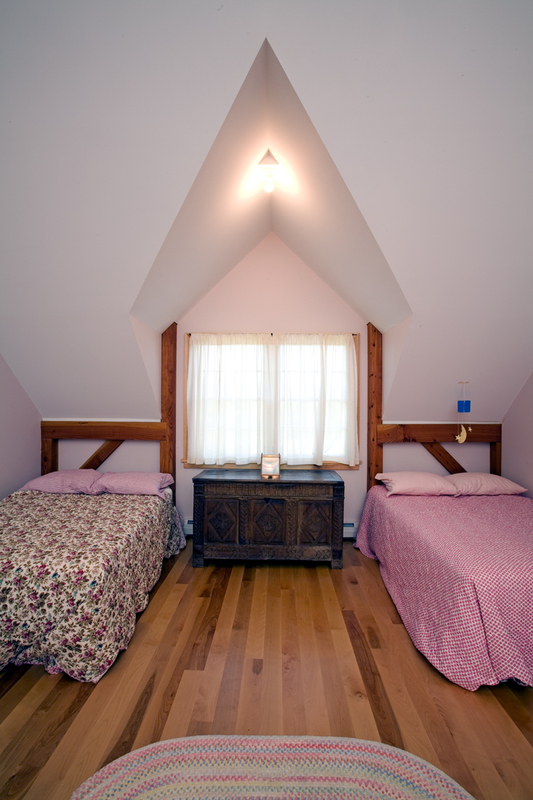 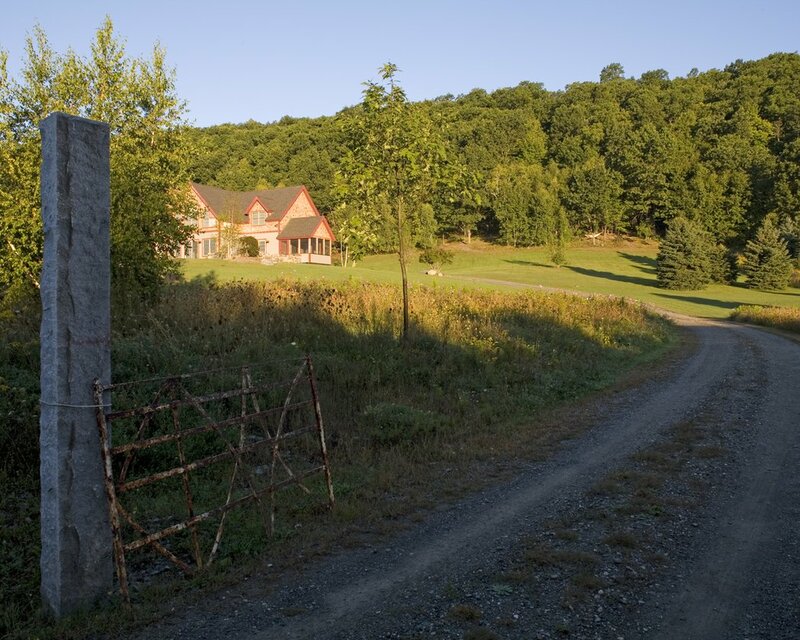 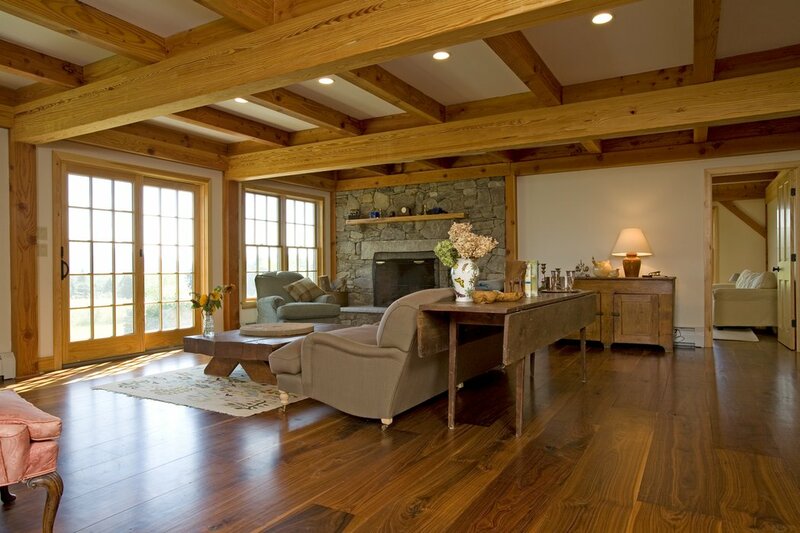 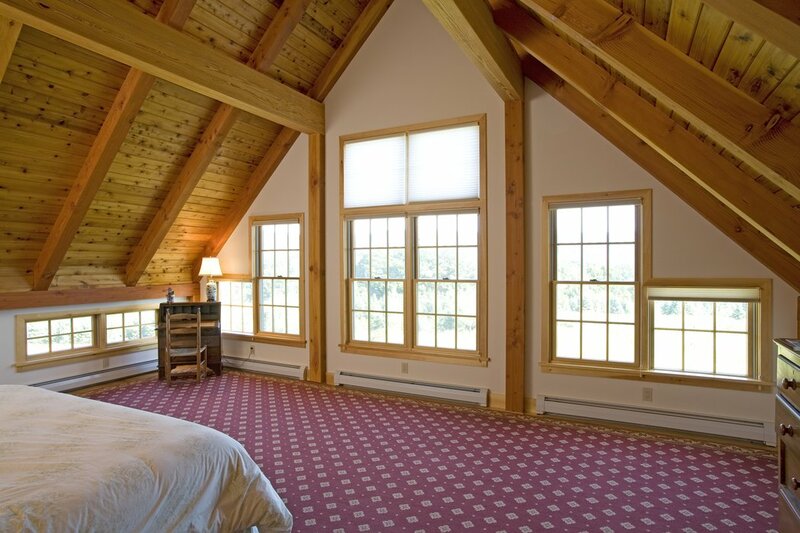 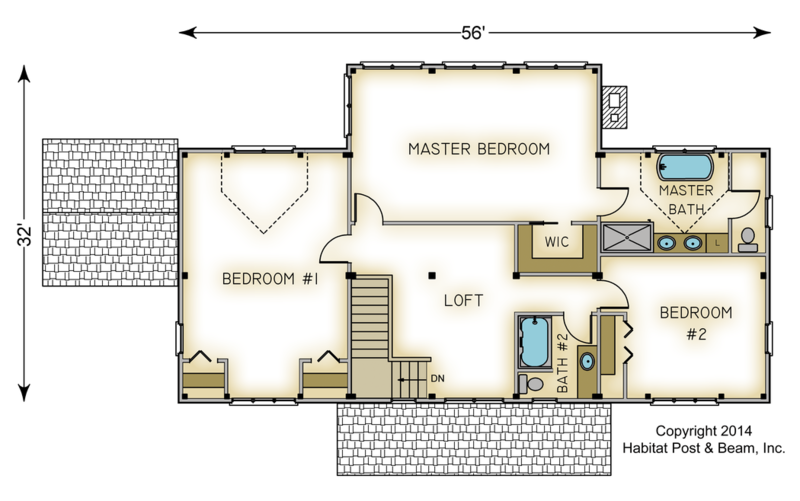 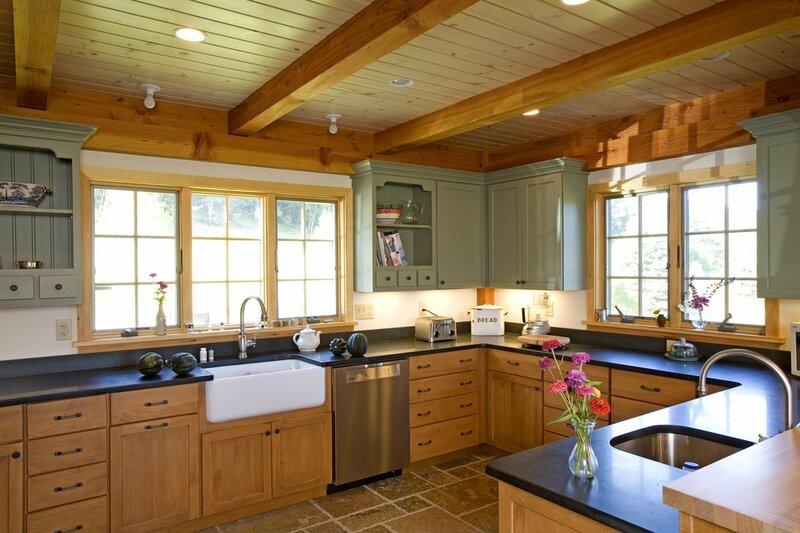 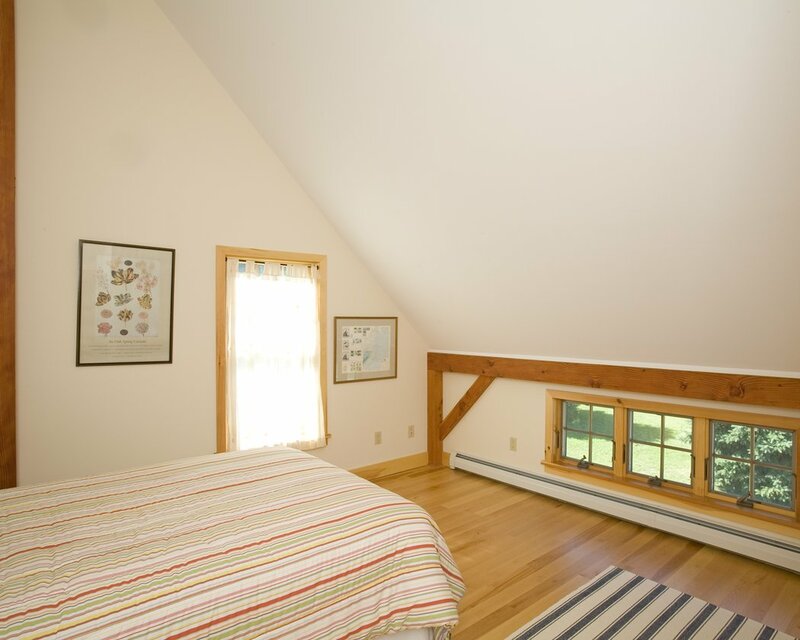 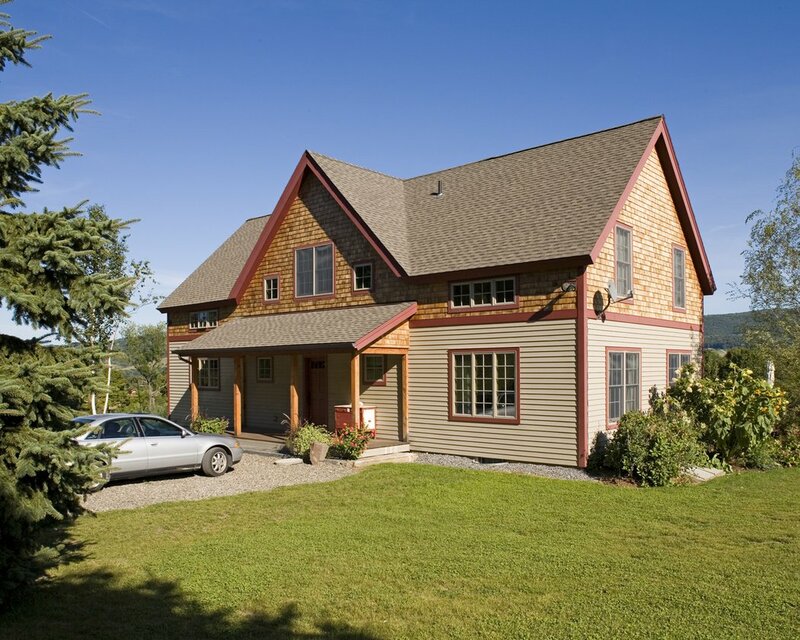 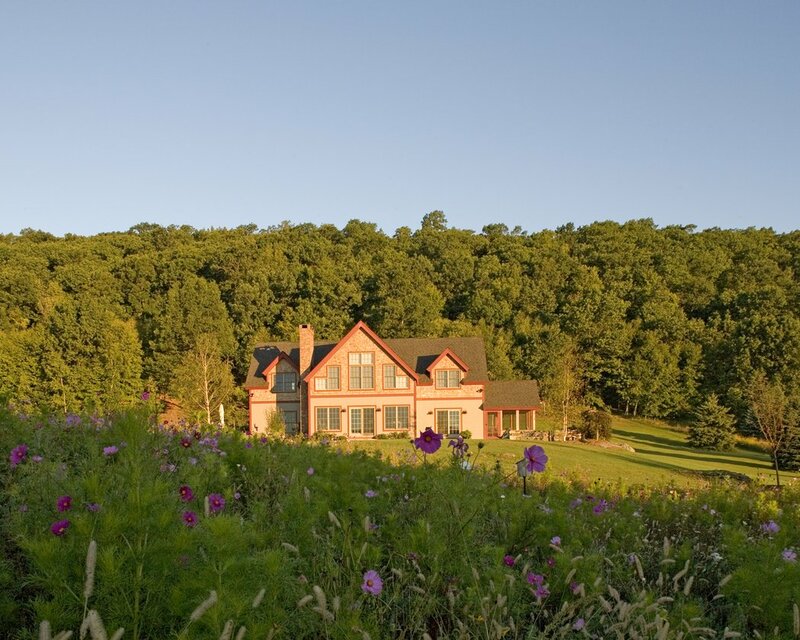 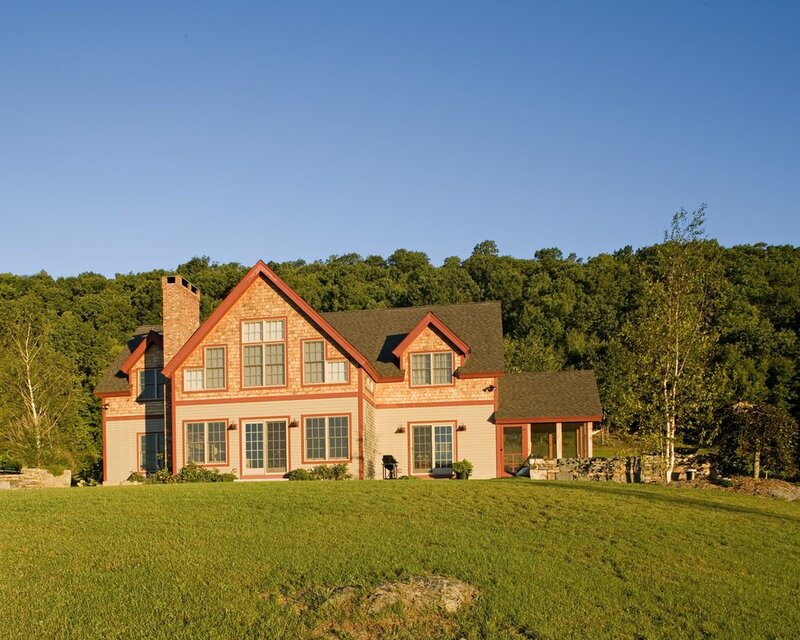 The Green Mountain Lodge offers a versatile floor plan that allows a homeowner to have three, four or five bedrooms. 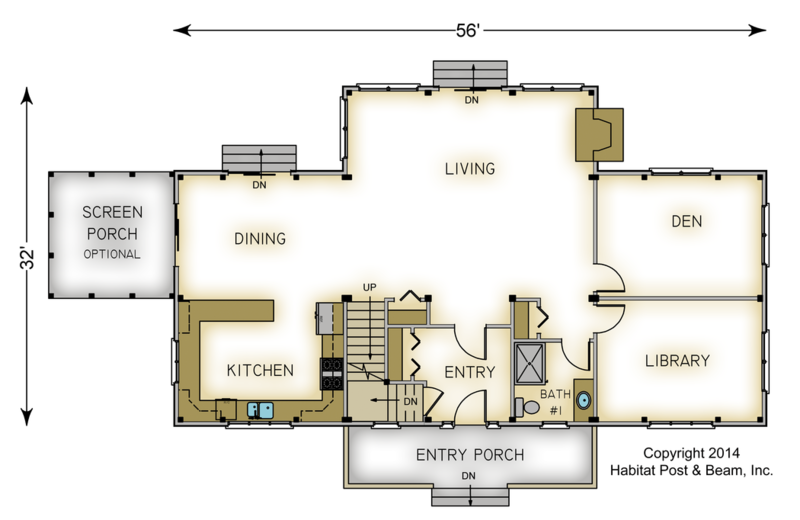 Package Price: $236,778 as specified below (from $206,374 to $260,566 depending on framing options). 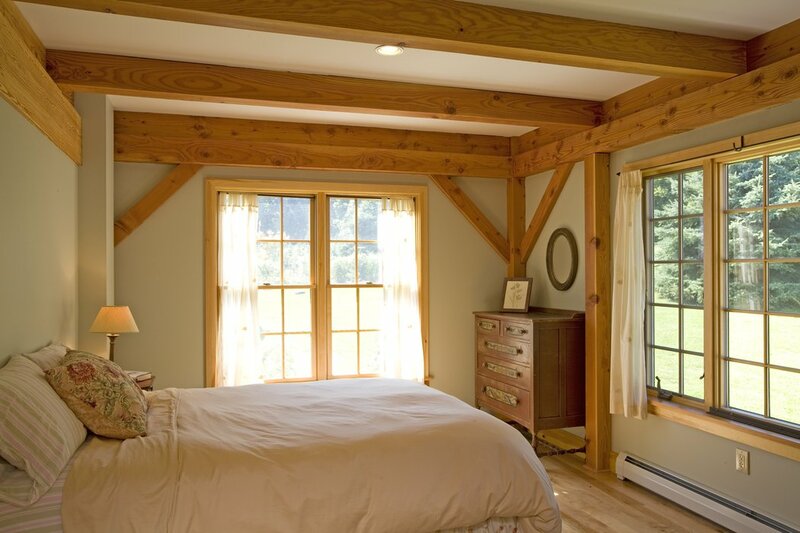 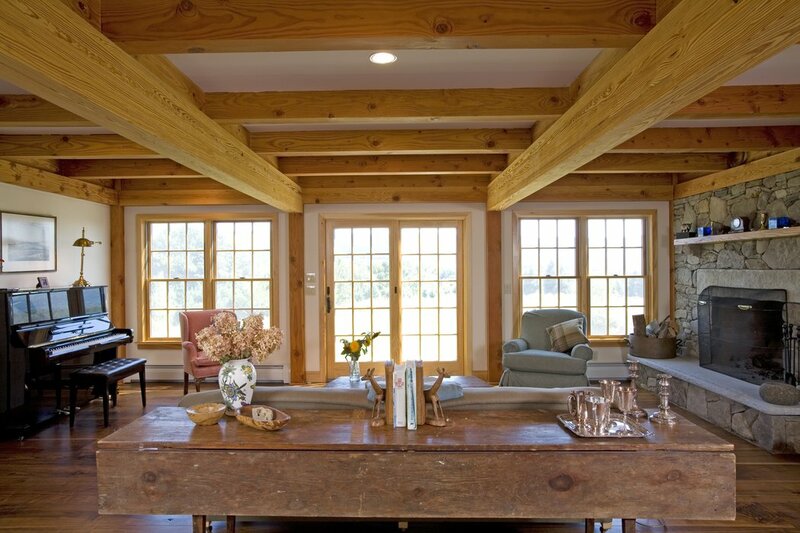 The standard price includes our Full Exposure Wall System, Plaster and Beam or Beamed Mid-Floor System (same package price), our Beamed Roof System over the center section, and our Plaster and Accent Beam Roof System over the wings. 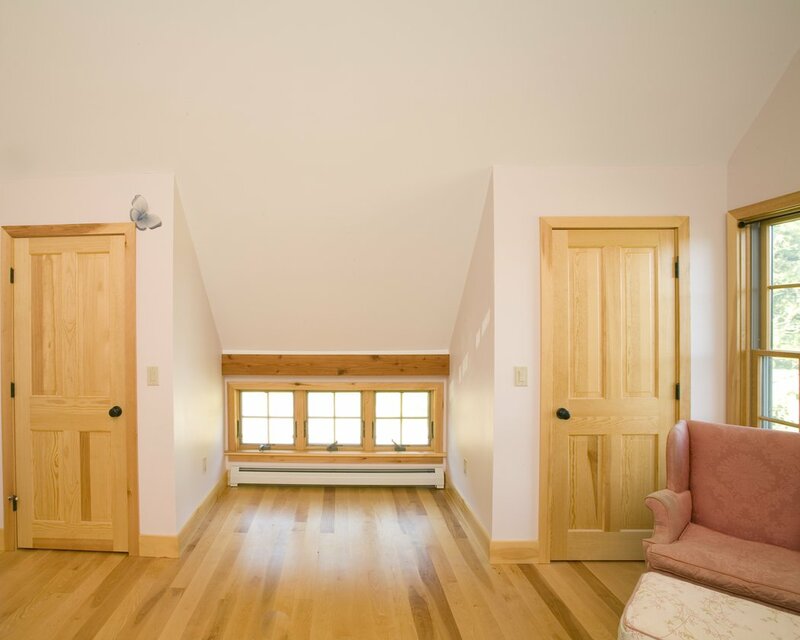 The entry porch is our Liner Porch System with a flat ceiling.